I've found my happy place. 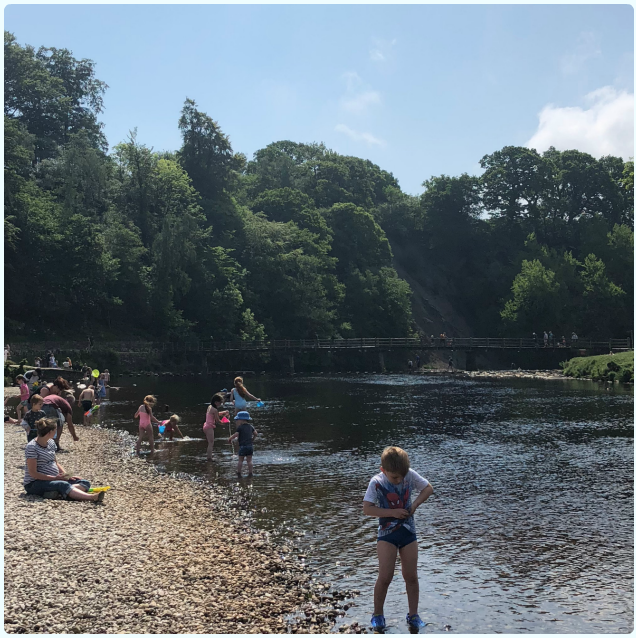 This Bank Holiday weekend we took a trip to Bolton Abbey, and it changed everything, even knocking Formby off the top spot. Fighting talk. I'm going to tell you a bit about it, but predominantly show you why. 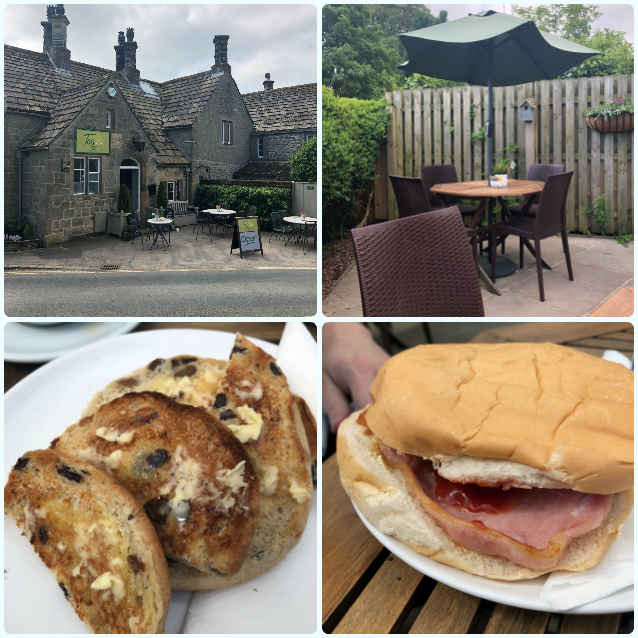 I've started to write about places to visit as well as food, as this is the kind of stuff I do to make myself happy, and think it might bring the same happiness to others if they know about it, so here goes. The scene: Horwich is hotter than the surface of the sun. I'm cooped, like a chicken, in a coop. The brief: Somewhere to go for a nice walk, without hiking up mountains and dying in the process. Needs to be pretty, preferably with water nearby. Must not get stuck on the motorway for hours in Bank Holiday traffic. 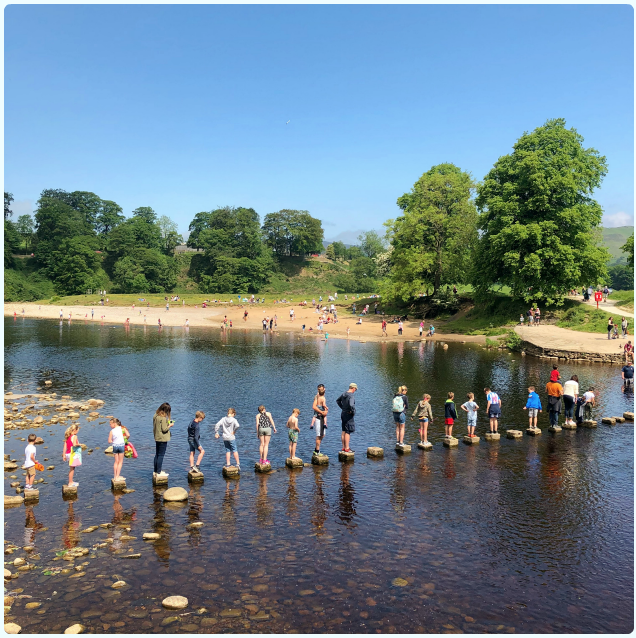 The plan: Set off for Bolton Abbey at around 9.30am, get there around 10.30am, have some breakfast, and go for a nice walk in the sunshine. 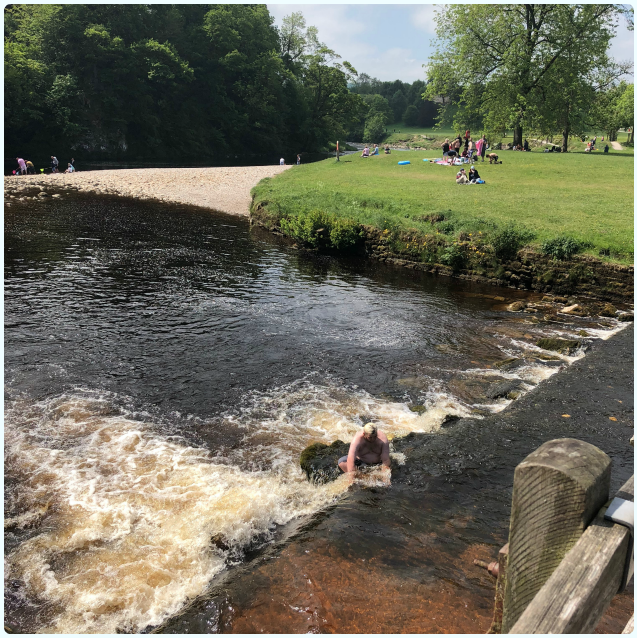 So as planned, we arrived at Bolton Abbey around 10.30am ready to bask in the glorious sunshine, and I'm kitted out in a flimsy flowery sun dress. It was brass! Clouds everywhere and a nippy breeze (disclaimer - most people would describe this temperature as 'comfortable'). However, it's okay because the next part of the plan is breakfast. I braved the elements and sat outside in the courtyard of Tea on the Green, medicating the windchill with a cardigan whilst we fed sparrows on the sly. Tea helped. I'd looked at the Met Office app, and it promised the return of blazing sunshine from 11.30am and dead on cue, there it was! Cardigan off and topping up the tan within thirty seconds. 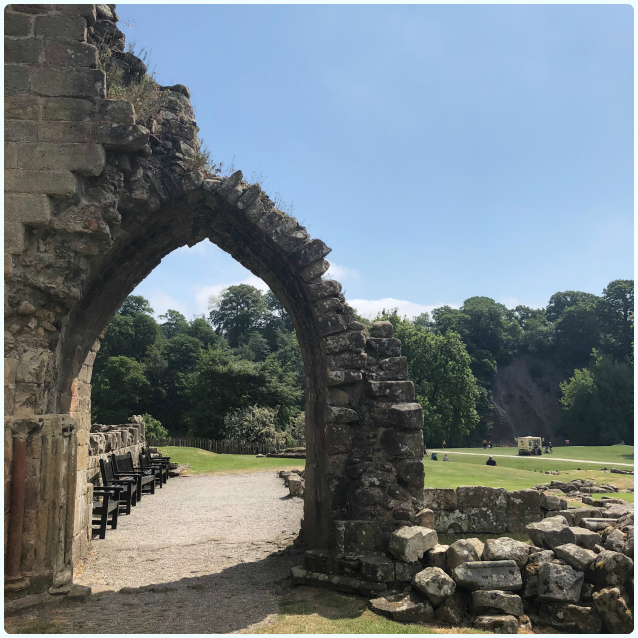 First up was a walk around the Priory church and ruins. Although there's a rather impressive church there, it's the ruins that steal the show. Magnificent in their decrepitude, they stand like ancient dinosaur bones, looking rather ornamental against the picturesque landscape beneath them. Genuinely wonderful. Even Henry VIII and his Reformation couldn't fully destroy this beautiful place. History: The land was gifted to the Augustinian canons by Alice de Rumilly in 1154. The canons lived and worshipped here until 1539 when the dissolution of the monasteries stripped the Priory of its assets. 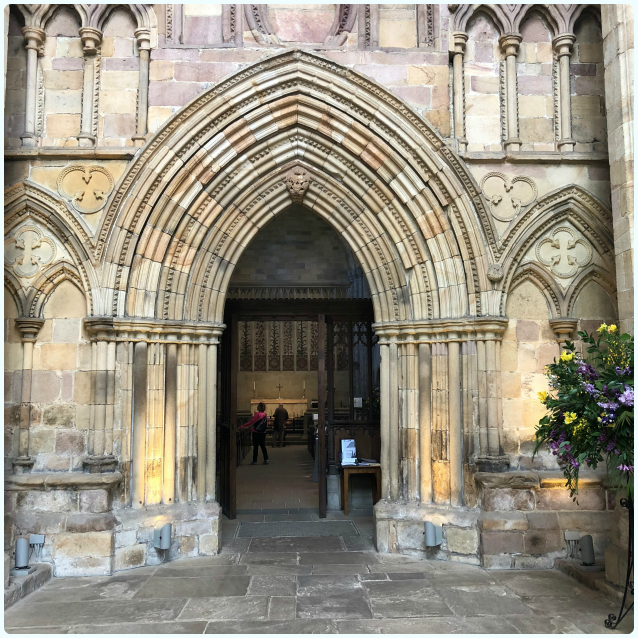 History lovers will enjoy the story of Prior Moone and how he negotiated with Cromwell to secure the nave as a place of worship for the local community and how the church continues to thrive to this day. 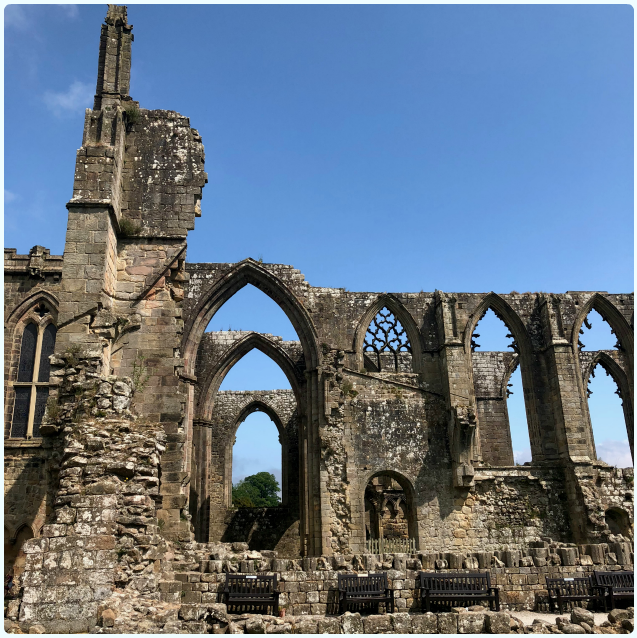 (Source https://boltonabbey.com). 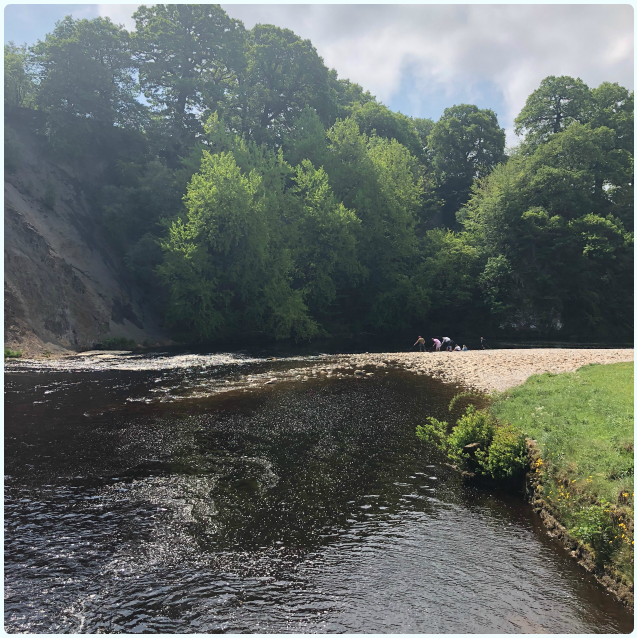 With the sun now beating down, we went for a walk round the River Wharfe. It's pretty shallow so perfect for paddling, and has the most inviting stepping stones, which were originally the route the workers would have taken to the Priory. These days they are a bit of fun! Many of these poor souls were tempted into the drink by slippery feet, parents unbalancing their offspring in a misguided attempt to help them, or just sheer fear of falling in. One dad had accepted his fate and seemed to be permanently positioned in the river. I didn't go on these as I would have been in that river within seconds. To quote Phil; 'I really want you to go on those stepping stones, and fall in!' I wasn't as keen on the prospect of a see through dress and wet ballet pumps! Logistical nightmare. That cool water did look very inviting though. A fella taking a dip or real life mermaid. You decide. Further up the river is the most beautiful pebble beach (there is sand at some points too). One family had completed life by taking a huge inflatable dinghy, which their dad was casually rowing down the river. Kids were skimming stones, picnics were in full swing, dogs were paddling, the sun was warm on my shoulders, and life was suddenly excellent. 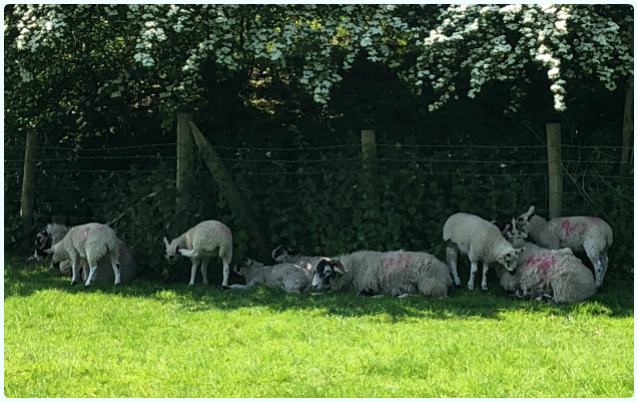 If you go the other way up the river, it's much quieter, and generally filled with adult groups playing quintessentially English lawn games, the odd cunningly concealed barbecue, swallows dancing over the water, and sheep seeking shade from the sun. Idyllic. 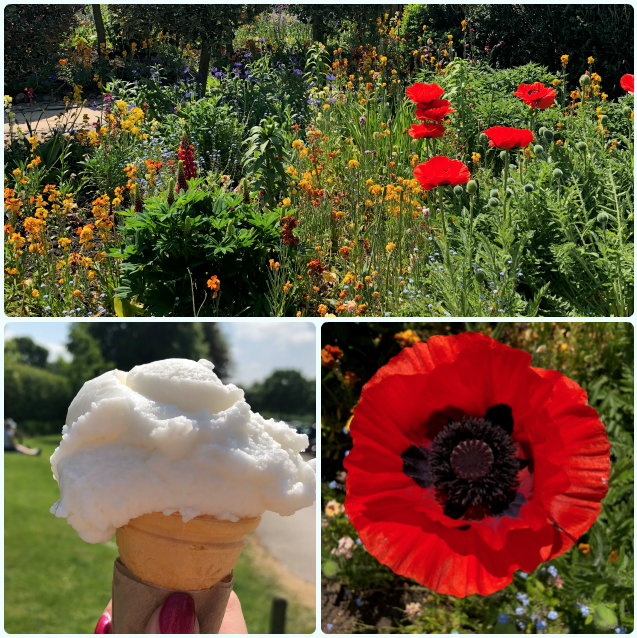 Before we left we sat in the tea cottage garden admiring a little chaffinch gathering grubs, and bees collecting pollen from the most beautiful flowers. Last stop was a lemon sorbet cone from the ice cream shop, before heading to Skipton for a wander round. 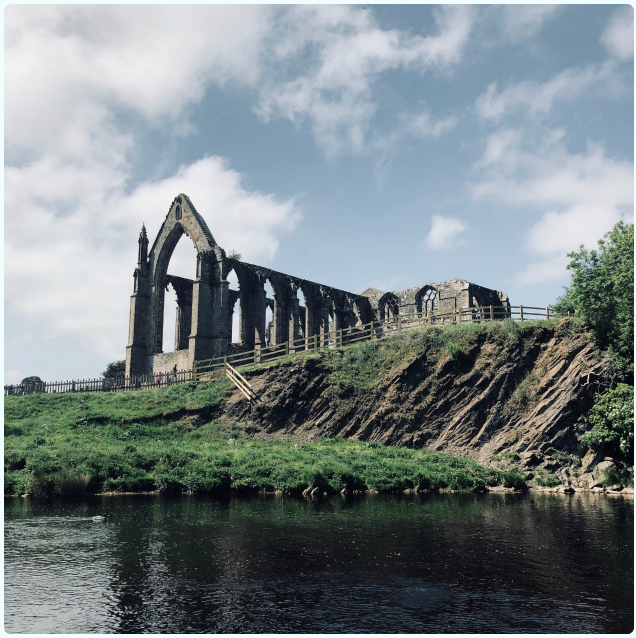 It only takes about ten to fifteen minutes from Bolton Abbey, and was on our way home anyway. What an absolutely beautiful day, faultless in every way. Go here for breathtaking scenery and happy times. Take your kids and dog if you have them, consider borrowing some if not. I would happily return here tomorrow and spend all day there. Pack a picnic and something to sit on, take some dry clothes and fall in the river, and talk to strangers like you've known them for years. It's such a happy place, I challenge you not to have a great time.